Saraki said this is not the time to talk about 2019 as the development of the country is the most crucial for now. Senate President Bukola Saraki has said that he would make his intentions about 2019 public in two months. Abdullahi is the National Publicity Secretary of the All Progressives Congress (APC). He also served as the minister of Youth and Sport under the former President Goodluck Jonathan-led administration. He said, "You are like the tenth person who has asked me, so there is a queue. I promised the first person that when it is time to talk about 2019, I would answer the questions. "Anytime next year from February, you can ask us about what are my intentions in 2019 or whether I want to come back to the senate. "You want to talk about development and how we are going to get the country going, yes. We have a long time to talk about 2019." He attributed some the reasons Jonathan lost the 2015 election to the exit of some key PDP members, including himself. 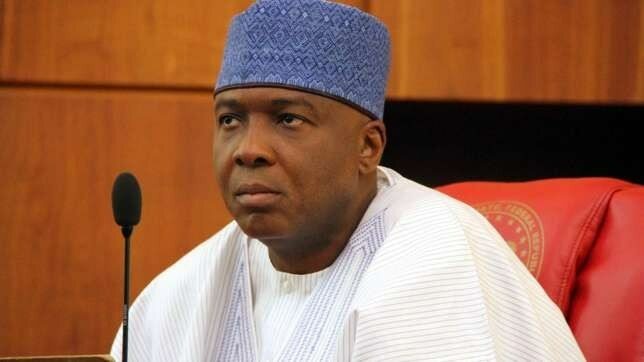 Saraki said, "He probably for example should not have allowed some of us to have left the party. "He will have done certain things against the fight against corruption and the government, but I think he didn’t do a number of those things and a few of the people who were close to him, gave him the impression that all was good." When asked about the role he played in the emergence of former President Musa Yaradua as the presidential candidate of the Peoples Democratic Party (PDP) in 2007, he said he will disclose that in the book he is going to write.